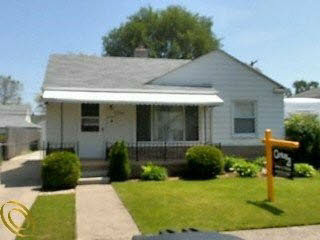 Warrendale (Detroit) Blog: Featured Place to Live: 6100 Penrod St.
6100 Penrod St. is a four bedroom, one bathroom single family home that is available for sale in Detroit's Warrendale neighborhood. This 1,050 square foot ranch home was built in 1951, but has been updated extensively. It is a beautiful, clean home that is in move-in condition today. This home is represented by Wanda Porada from CENTURY 21 Curran and Christie. More information about it is available here. 6100 Penrod St. is your Featured Place to Live in Detroit's Warrendale neighborhood for this week.